Purchase your tickets online and enter promo code 152 to receive a 20% discount. You may print your tickets or show tickets via your phone at the ticket window. 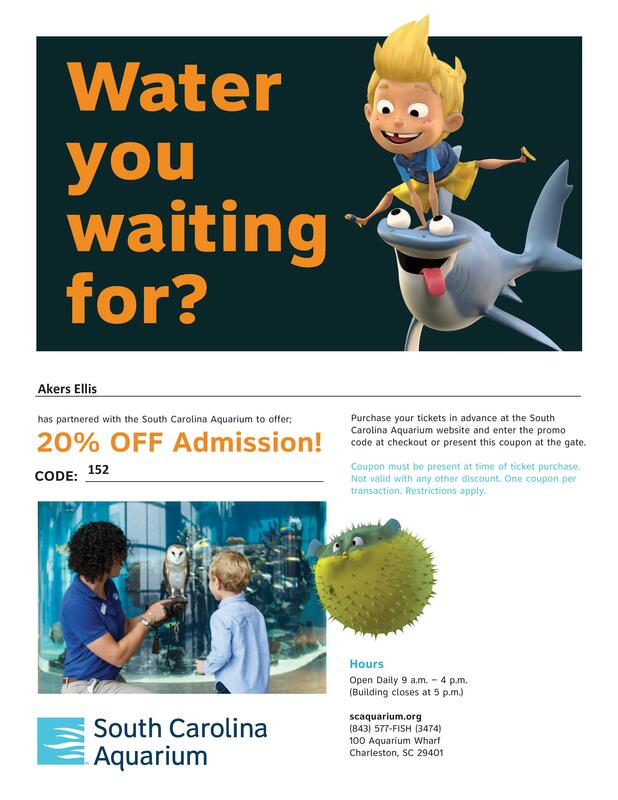 Purchase your tickets at the Aquarium ticket window and turn in this printed flyer to receive a 20% discount.